Join Rebecca Hale, Julie Hyzy, and Miranda James as they celebrate the 20th anniversary of Berkley Prime Crime. Rebecca Hale will sign and discuss How To Paint a Cat (Berkley; $7.99) PBO. Rebecca M. Hale is a graduate of Colorado State University (Biochemistry 1994) and Vanderbilt School of Law (JD 1997). After almost ten years working as a patent attorney in the San Francisco Bay Area, she took time off to write her first novel, HOW TO WASH A CAT—and never looked back. She primarily writes fiction in the form of quirky mysteries that reflect her travel experiences and many of the people she meets along the way. She now lives in Western Colorado with her feline writing associates, that is, when she’s not off researching future books set in San Francisco, the Caribbean, or wherever else her wandering spirit takes her. Julie Hyzy will sign and discuss Home Of The Braised (Berkley; $7.99) PBO. 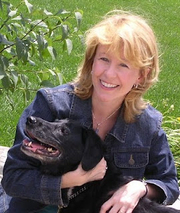 Anthony and Barry Award winner Julie Hyzy is the New York Times bestselling author of the White House Chef Mystery series featuring the intrepid Olivia (Ollie) Paras, and the Manor House Mystery series featuring mansion curator Grace Wheaton. Dean "Miranda" James will sign and discuss The silence of the library (Berkley; $7.99). Our former store manager, Dean now works full-time at the Texas Medical Center Library (in addition to a Ph.D. in History from Rice,he has a Master's in Library Science) and part-time (every Saturday) at Murder By The Book. He's also an award-winning author of both mystery non-fiction -- including By a Woman's Hand and Killer Books (both co-written with Jean Swanson) -- and mystery fiction, including the Wanda Nell Culpepper novels (written as Jimmie Ruth Evans), the "Bridge Club" mysteries (written as Honor Hartman), and the New York Times Bestselling "Cat in the Stacks" mysteries (written as Miranda James). Join our Mystery Book Group for a lively discussion beginning at 7:00 p.m. on Wednesday, October 24. All community members are welcome! This month we will be reading and discussing State of the Onion. Book Group selections are available at Books & Co. for 15% off the list price. Unless otherwise noted, we meet on the 4th Wednesday of each month at Books & Company. Julie Hyzy's book Manhattan Mayhem was available from LibraryThing Early Reviewers. Julie Hyzy's book Manhattan Mayhem was available from LibraryThing Member Giveaway. Julie Hyzy is currently considered a "single author." If one or more works are by a distinct, homonymous authors, go ahead and split the author. Julie Hyzy is composed of 3 names. You can examine and separate out names.